The much awaited UK referendum outcome has been announced and the UK will leave the EU. But what are the implications for new and existing commercial contracts? The consequences of the UK leaving the EU will to some extent depend on the arrangements that are made during the two-year negotiating window, and developments in that period may have an impact on commercial decisions. Currently, EU legislation enshrines the parties' ability to choose the governing law of their contractual relations, and forms a significant part of substantive English law. Post-Brexit, it is likely that contracts will continue to provide for an express choice of law as existing common law rules are similar to the provisions of the Rome I Regulation. Assuming, therefore, that the contract in question is governed by English law, what will make up the substance of English law if the UK leaves the EU? This will depend on the extent to which the UK government decides that existing EU legislation should no longer form part of English law once the UK has left the EU. The way in which English law then develops after an UK exit from the EU will depend on what the UK does next from an international perspective. Many types of contract contain specific territorial provisions, such as distribution agreements, joint venture agreements, franchises and licence agreements. Where the relevant territorial provision refers to the ‘EU’, such as ‘an exclusive right to operate in the EU’ what is the position on Brexit? Ultimately, the answer is likely to be a matter of construction for each agreement, but such provisions will give rise to a great deal of uncertainty and parties may well be advised to revisit their contracts and look to clarify the position by agreement. The UK leaving the EU may well affect the operation of existing contracts, quite possibly in a manner that the parties had not originally foreseen or planned at the time of contracting. It is possible that the contract could be frustrated or force majeure provisions could be triggered when the UK leaves the EU. Whether or not a contract can be terminated on the grounds of a Brexit will be determined by the individual provisions and construction of the particular contract. It is possible that an existing contract might be terminated by a party by relying on Brexit being a classified as a “material adverse change” event. Businesses should consider if their existing contracts need to be renegotiated. For example, if the UK does not join the European Economic Area (EEA) and in the absence of a free trade agreement, importers may wish to consider the impact of the imposition of tariffs between the EU and non-EU states, which could be particularly costly for them. Pricing arrangements between parties may therefore need to be renegotiated to re-allocate costs between the parties. With regards to new contracts, businesses may wish to expressly include a force majeure provision or provide for alternative terms to apply when the UK does leave the EU. All businesses are strongly encouraged to start undertaking a review of their existing commercial relationships during this negotiating window, in order to plan ahead to minimise the impact. Providing for/referring to an alternative mechanism which would apply when the UK leaves the EU. 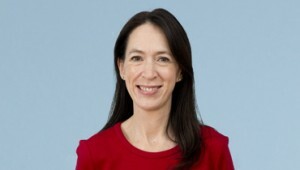 If you have any questions regarding the impact of Brexit on your contracts, or if would like us to undertake a review of your existing contracts or prepare new post Brexit contracts, please do not hesitate to contact Joanne Gallagher, Corporate & Commercial Partner of Thomson Snell & Passmore LLP on 01322 623708 or at joanne.gallagher@ts-p.co.uk.